Bolivia is an incredible destination where you can see the world's highest capital city - La Paz, visit the spectacular Andean Peaks, explore the tropical Amazon, stay in a remote jungle lodge or get amazing pictures at the Salt Flats and Lake Titicaca. 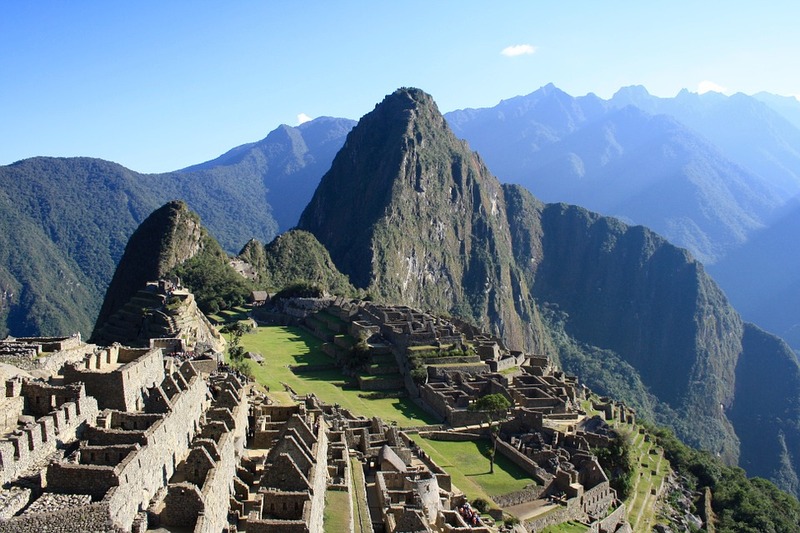 There are lots of National Parks, acient ruins and UNESCO World Heritage sites. 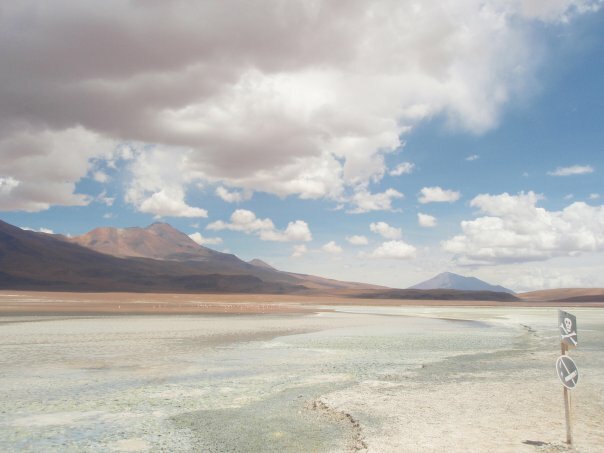 If you would like to go travelling in Bolivia and need inspiration, with One World 365 you can search itineraries and experiences to visit the very best locations in the country. Get information, tips, itineraries and inspiration for visiting on our guide to travelling in Bolivia. 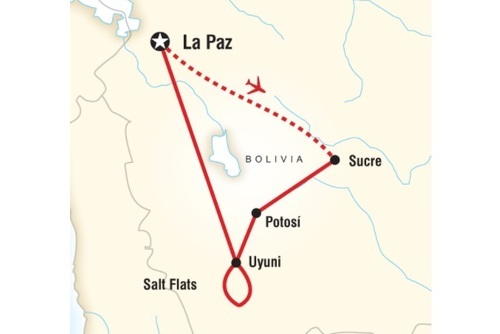 La Paz is served by El Alto international airport, with regular flights to Lima, Bogota, Santiago, Buenos Aires and Sao Paulo elsewhere in South America, as well as numerous destinations within Bolivia, particularly Sucre and Santa Cruz. 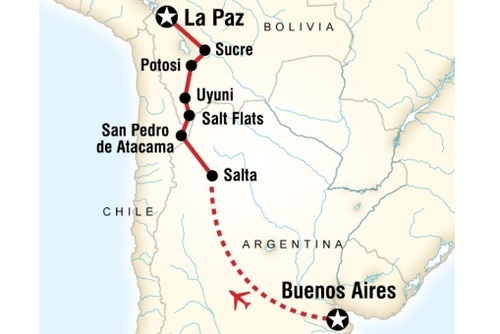 Intercontinental flights are usually completed either via a change in Lima or Santiago, or via a direct flight to Miami and onwards to Europe or other North American destinations. This city is high, around 12,000 feet above sea level making it the highest capital city on the planet. Taking a few days to adjust to the climate is recommend and there are lots of old colonial building, cafes and places of interest to check out. The world’s largest salt flats, you can read more below. 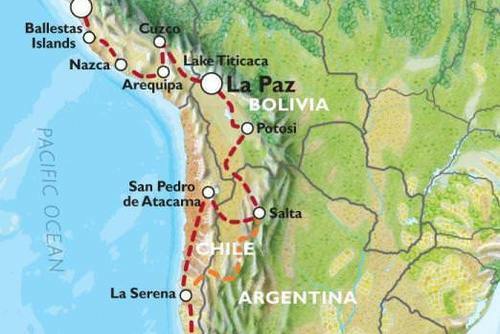 If you are seeking adventure you might want to ride the La Paz death road. The North Yungas highway as it is known locally is very dangerous with cliff falls and many deaths a year but it is also one of the most popular places to visit for thrill seekers wanting to race down on mountain bikes. These two spectacular natural pools are usually visited as part of packages to the Salt Flats. Both pools contrast in colour and with the volcanic landscape you will get great photos. If you are into nature and scenery then the Madidi NP is somewhere to visit. Expect mountain glaciers, rainforest and also lots of jungles lodges. 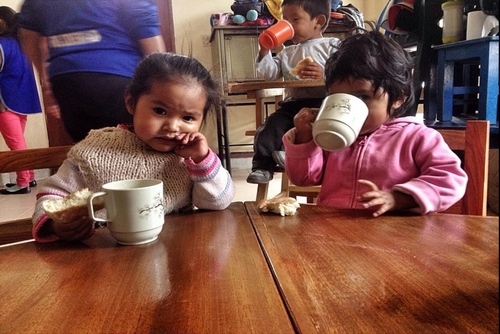 The money generated from visitors here goes back into support the local Quechua community who live in the area. A UNESCO World Heritage site with ancient ruins. The biggest lake in South America and somewhere you have to visit. Experience one of the most spectacular areas of the world and get off the beaten track going in search of exotic wildlife. This is the place to visit if you are into trekking. 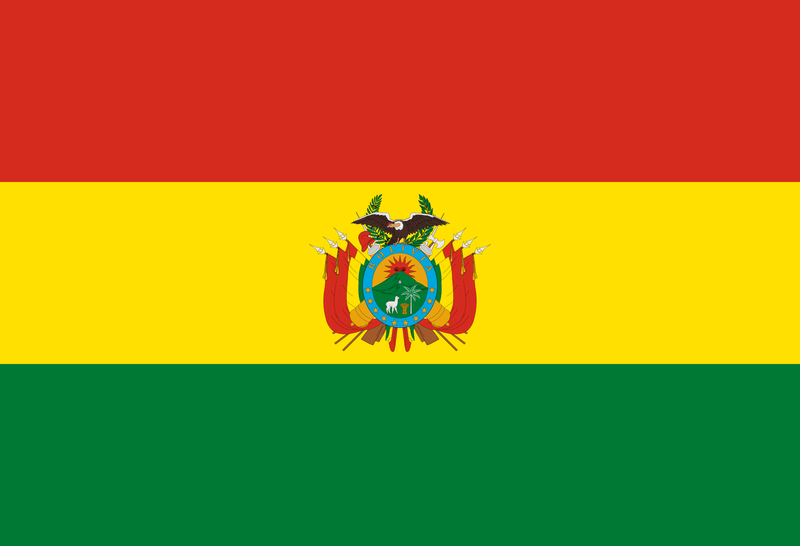 Bolivia was named Bolivia after Simón Bolívar and the country has a facsinating history, it was a key part of the Inca Empire and then was colonised by the Spanish. Bolivia is one of our favourite destinations in South America, no country in the world has scenery and landscapes like this. With One World 365 you can search packages from the best local and international travel operators who can help you get an authentic experience and discover the real Bolivia. You will get to learn more about the friendly local people, visit the highest capital city in the world - La Paz and also visit one of the most famous deserts in the world. Mountain biking is a fast-paced activity for those who like to challenge their fitness levels. What could be more rewarding than heading off the beaten track and discovering that special secluded spot that seems like it exists for no one but you? With lots of space to roam and nooks and crannies to discover, Bolivia’s magical landscape could be described has having an other-worldly feel about it. There are also last minute deals and late availability departures. 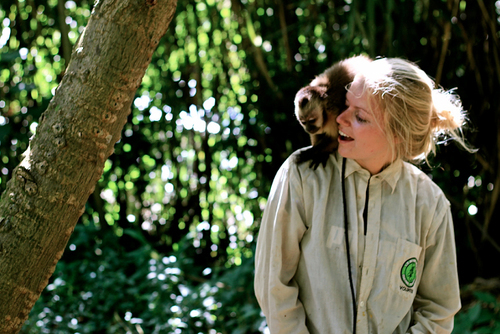 Mix culture, adventure and sightseeing on a gap year in Bolivia. Search travel ideas today. 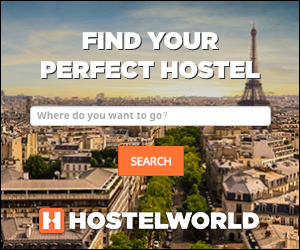 There are lots of agencies offering cheap packages and different itineraries so please research all options, most use local guides, local transport and small locally owned hostels and hotels. Everyone has different experiences from different destinations and even places which are classed as dangerous can be perfectly safe, most of the time it is wrong time at the wrong place and Bolivia is no exception. 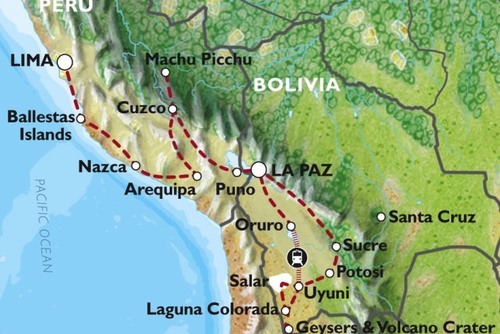 Try not to be paranoid, it is very easy to hear past stories and be put off from planning a trip to Bolivia. 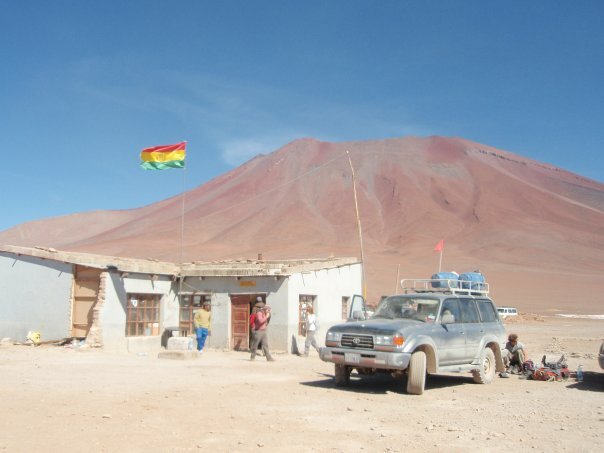 Top tips for staying safe in Bolivia include trying to not stand out too much, this can be difficult but obvious things include not walking around with a large map looking lost, possible get a drink in a cafe instead. It is also never a good idea to flash valuables in public, for example a laptop, tablet or phone. Be discreet and don't attract any unwanted attention, the same goes with money don't let people see you carrying large amounts of money. If you are applying by yourself then try to get chatting to other backpackers who you might be able to tag along with for day trips etc. People are your best form of up to date advice and guidance and other people might be going to places and invite you along. Practically its always better and more fun to travel with others. 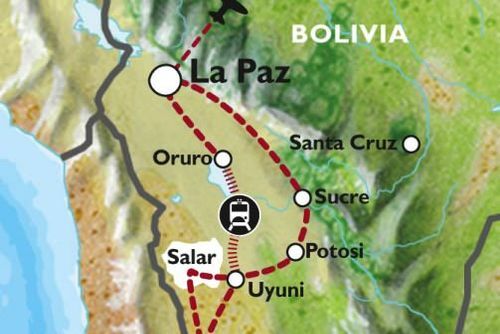 If you are looking for an easy and flexible way to travel in Bolivia you have the choice of public transport, hop-on hop-off bus packages and overland tours. Popular options include small group adventure tours, cultural and historical tours, family tours, photography tours, wildlife / nature tours, trekking / hiking tours and city tours of places like La Paz. If you travel independently the chances are you will still use local tour operators because some places are difficult to access. 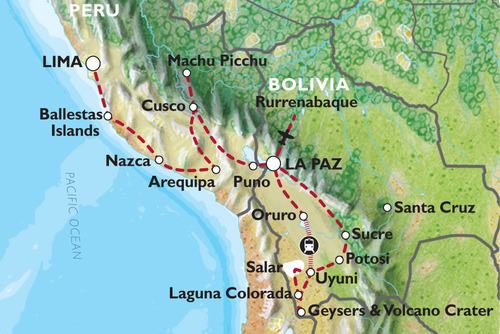 There are also overland tours of South America available if you would like to visit more than just Bolivia. Experience spectacular Bolivia on tours where you will take in some of the best sights of the country. On tours you will get to experience and wonder around La Paz where you can visit local markets and practise your Spanish. La Paz is where this tour starts and here you will meet the other people on your tour before departing for more spectacular surroudings. When you leave La Paz you will visit the spectacular Salar de Uyuni and travel around on 4x4's, this is one of the best places in the world for photos with the salt flats and clear blue skies. 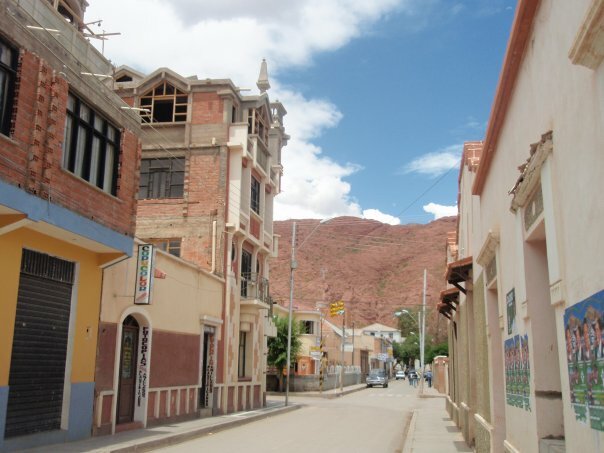 From the salt flats you will travel to Potosi which has lots of old colonial architecture and then head to Sucre which is Bolivia's capital city. This area is famous for adventure sports and there are lots of options from going hang gliding or mountain biking. 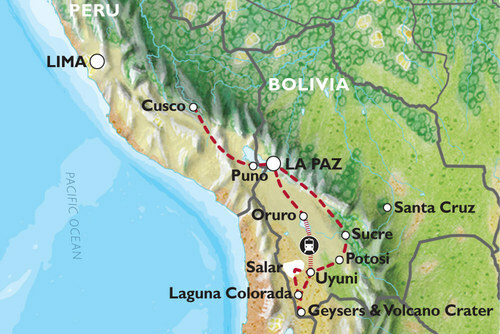 Popular places you can visit include La Paz, Uyuni + Salar de Uyuni, Potosi and Sucre. For the adventurous you might want to book some gravity assisted mountain biking down the Worlds Most Dangerous Road, or visit the worlds highest ski resort at over 5000mtrs! The Salar de Uyuni or “salt flats” as they are commonly know is one of the best places you can visit in Bolivia, you shouldn't leave the country without seeing them. No where in the world is like this. Located deep in the desert the conditions and terrain are harsh - you really need to visit to see how unreal the whole area looks. When it rains there is also a spectacular photo opportunity because it really looks like the earth meets the sky. Both international and local travel operators offer tours to the Salt Flats, you can book ahead via our website today. You can find options for all budgets including value and cheap tours to more expensive escourted group, private and luxury tours. 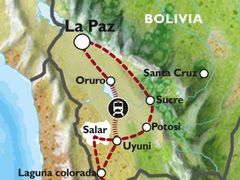 It really depends on the trip lenght and experience you are looking for, there are also combo tours of Bolivia and Peru which are popular. You usually need to be aged 18 and over if you are travelling solo. You can view dates and intineraries today, booking as early as possible in advance is recommended as spaces can fill up quick. There are lots of local and international tour operators and agencies offering Bolivia tours to international vistors and on our directory you can search the vert best trips. 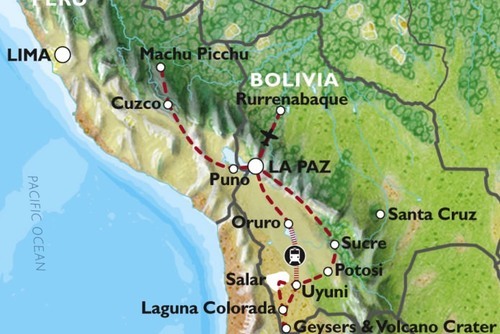 If you need any help booking a tour in Bolivia please get in touch.